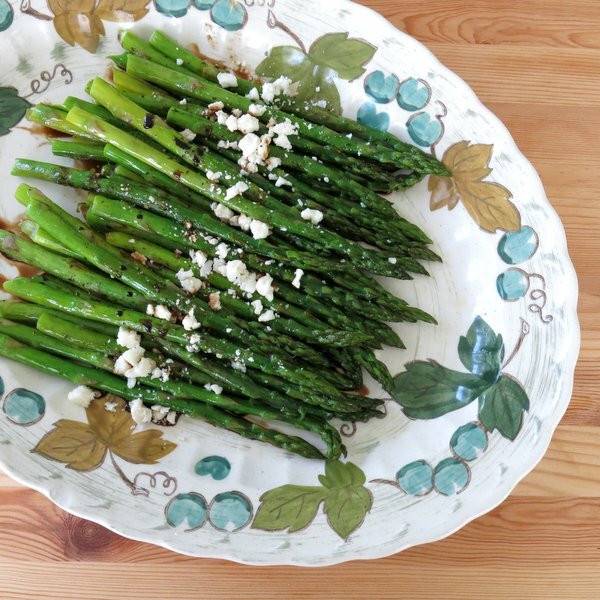 Roasted asparagus with balsamic reduction and feta cheese are combined into one fabulous spring side dish! 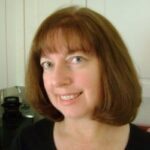 By the way, who knew that it is soooo easy to make a balsamic vinegar reduction! And asparagus become the star of the produce aisle! Phyllo Wrapped Asparagus has always been popular and is perfectly divine. But, I must admit there is a bit of work involved. On the other hand, roasting asparagus takes no time at all…just 8-10 minutes in a 400 degree F oven. Use your extra time to make a balsamic vinegar reduction. Honestly, I never knew just how easy it was make this condiment. Bring twice the desired amount of balsamic vinegar to a boil over medium-high heat in a small sauce pan. Reduce the temperature and simmer until the amount is reduced by half and is a nice syrupy consistency. Stir occasionally and don’t let it burn. It will take about 30-35 minutes. Make extra because it can be stored in the refrigerator. Drizzle it over strawberries, watermelon, tomatoes…or the main course! 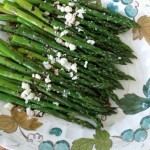 Sprinkling crumbled feta cheese over the top adds another dimension of flavor to the roasted asparagus. = One delicious spring dish! 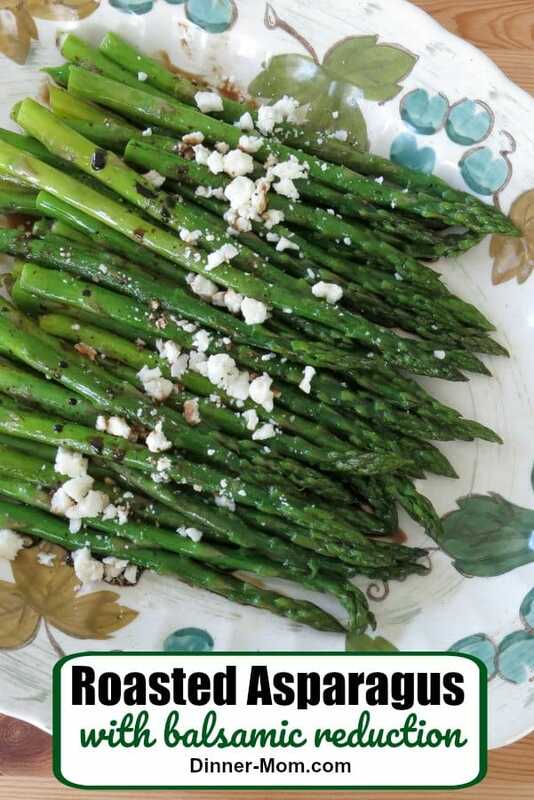 This easy side dish of roasted asparagus and feta cheese is topped with a balsamic reduction that is simple to make. Three ingredients = one fabulous spring side dish. 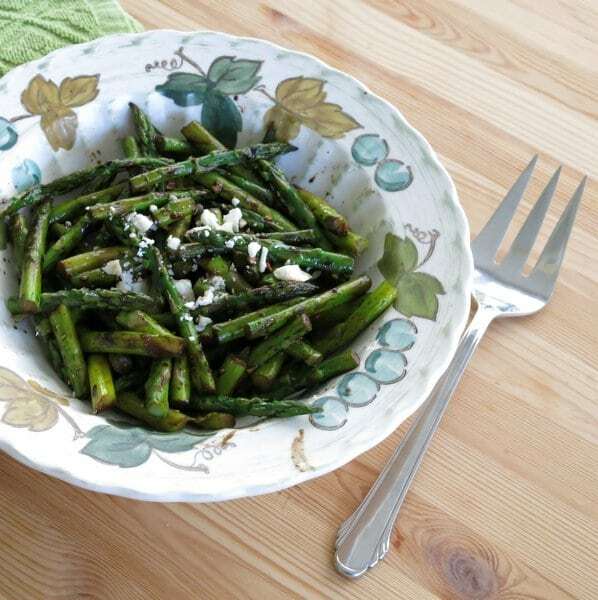 Cook for about 8-10 minutes or until asparagus is tender, but not soggy and slightly browned. Bring balsamic vinegar to a boil over medium-high heat. Reduce heat to low and simmer for about 30-35 minutes, stirring occasionally. Vinegar should be reduced by half and a syrupy consistency. 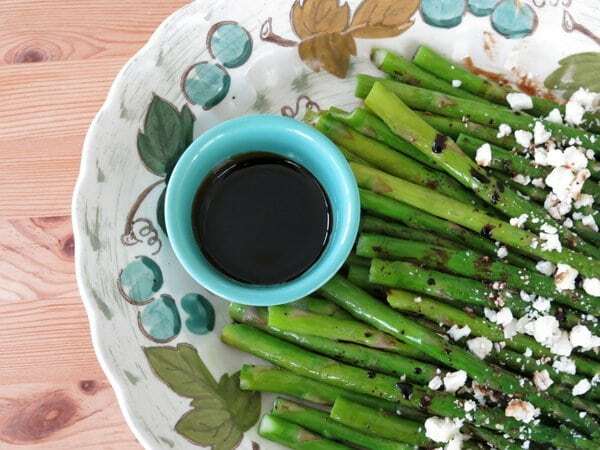 Drizzle balsamic reduction over asparagus and top with feta cheese. We are always looking for new ways to eat asparagus, so this will be great. Thanks for sharing! Thanks! It’s not too hard to dress up asparagus! Glad it’s in season. Thanks Becca! It’s a favorite around here too! Oh I’m always looking for new ways to prepare veggies in the summer – this looks SO good! Simple recipes are always the best! Oh Wow! 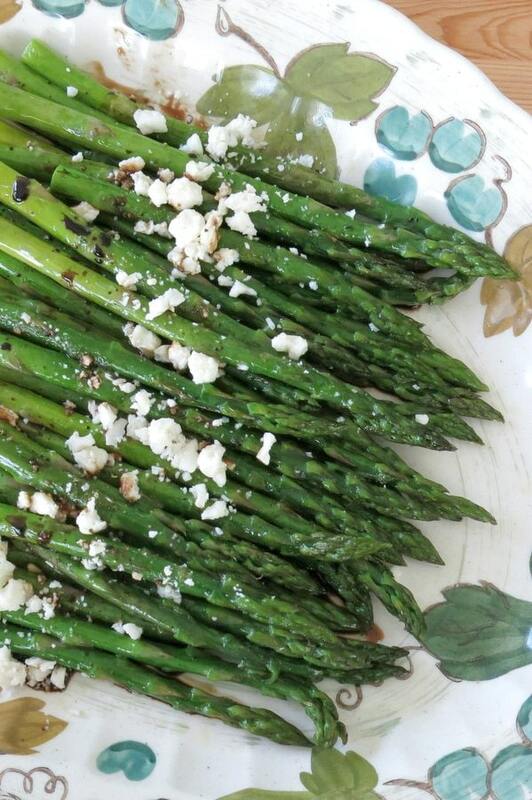 I love asparagus and with that feta and balsamic, it looks and sounds amazing! This is my idea of heaven on a plate! And it’s a perfect reminder that spring has begun! Yay for spring! I’m so happy that asparagus is popping up everywhere I shop! Cool, thanks for the great recipe. Nice twist for asparagus. Tried it first before an upcoming dinner party and will be making it again but will be making balsamic dressing the day before.